Mrs. Mary Berry, age 96, of Rockford went home to be with the Lord on Sunday, March 7, 2010. She grew up in Plainfield Township, where her father was a truck farmer. She attended Western Michigan University and worked at Wolverine World Wide. On October 28, 1938, Mary married Lyle, and they also had a farm with Mary helping whenever she was needed. They raised cattle, and Mary supplemented the family income by making and selling butter and eggs. She was the caregiver for both sets of parents, Randall and Berry. They were a close-knit family, all living nearby. For 13 years, Mary worked as a cook for Rockford Public Schools, retiring in 1974. She was a life-long member of Rockford United Methodist Church, volunteered at the North Kent Service Center, and was a second-generation member of the Monday Club. Until the day of her death, Mary was in total control of her life. She was an eclectic and avid reader, oftentimes reading a book a day. Even with arthritis, Mary did beautiful needlework and ceramics, making cherished gifts for family and friends. Throughout her life, she had cats who were always her companions, and each one was very special. Mary was a very detailed person, and this trait has been passed on to her devoted children. Mary is survived by her children, Sue and Ray Pletcher of Madison, Ohio, John and Sandy Berry of Munford, Ala., Paul and Barbara Berry of Rockford; daughter-in-law, Mrs. Doris Hickerson; 12 grandchildren; 14 great-grandchildren; several great-great-grandchildren; sister, Mrs. June Davis; and nieces and nephews. 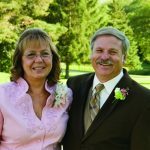 She was preceded in death by her husband, Lyle Berry; her son, Bud Berry; brothers, Donald Randall and Eric Randall; and sister, Kay Tomaszewski. The service for Mrs. Berry is Wednesday at 1:00 p.m. at the Pederson Funeral Home with Pastor Jan Rogacki officiating. Interment is in Blythefield Memory Gardens. Those planning an expression of sympathy are asked to consider North Kent Service Center. 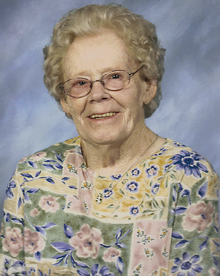 Mrs. Inez P. Carpenter, age 92, of Fruitport died Wednesday, March 3, 2010. She was born in Kent City, Mich., on April 29, 1917, to Arthur Leroy and Ruby (Monroe) Walcott, and married Walter Carpenter on August 30, 1940. Mrs. Carpenter had been employed as an executive secretary at Consumers Power for many loyal years until retiring in 1972. She was a charter member of Pine River Association and PTA and an active Girl Scouts leader. Inez was an avid hunter and fisherman. She will be dearly missed. 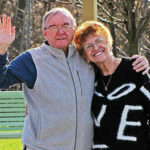 Surviving are her grandchildren, Allen Carpenter of Muskegon, Belinda Carpenter of Mo., Evan Carpenter of Ill.; great-grandchildren, Howard, Jonathen, Adam, Jacob and Mallory; and three great-great-grandchildren. She was preceded in death by her husband, Walter; son, William; daughter, Beverly; and brother, Ivan Walcott. Per the family’s request, no services will be held. Please visit www.clockfuneralhome.com to leave a memory or sign the online guest book. Arrangements were made by Clock Life Story Funeral Home, Fruitport.